A graphic of flowers and grass shoots. Thanks,Alandra and Carol.This image is actually a graphic and both the flowers and grass are part of the software.Since I did very little besides clicking a few times, I was wondering if I should really upload this! Glad you liked it. 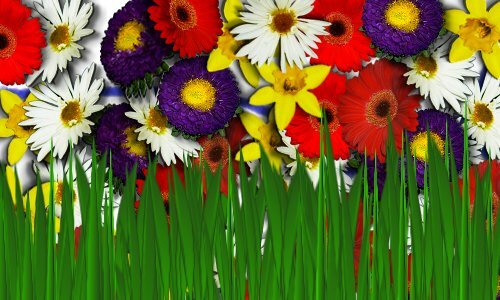 very lovely composition of the flowers and grass. so very colourful.